Oh My Stars! is made of cool colors in a light color palette. The last chapter of the S.C.R.A.P. system in my new book Scrap Quilt Secrets is of course, P for Palette. I've found through my teaching experiences that one of the most frustrating things quilters experience when trying to make scrap quilts is that they feel their scraps don't coordinate, or work well together. 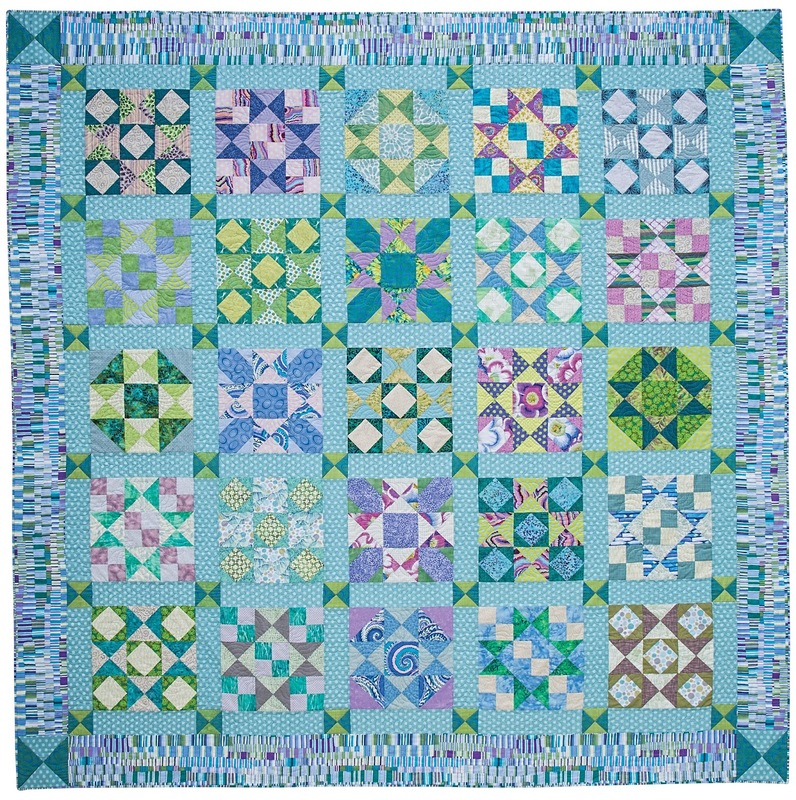 Some of my favorite quotes I've heard from frustrated scrap quilters are things like... "My scraps just look like a jumble" and "My last scrap quilt looked like my scrap bin threw up" or "My scraps look like an awful mushed up mess." My first response is that, NOT EVERY SINGLE SCRAP needs to go in the same quilt together. They can, if you want, but if you are looking for a little more control, or you want a little more of a theme in your color scheme, try using a Palette. 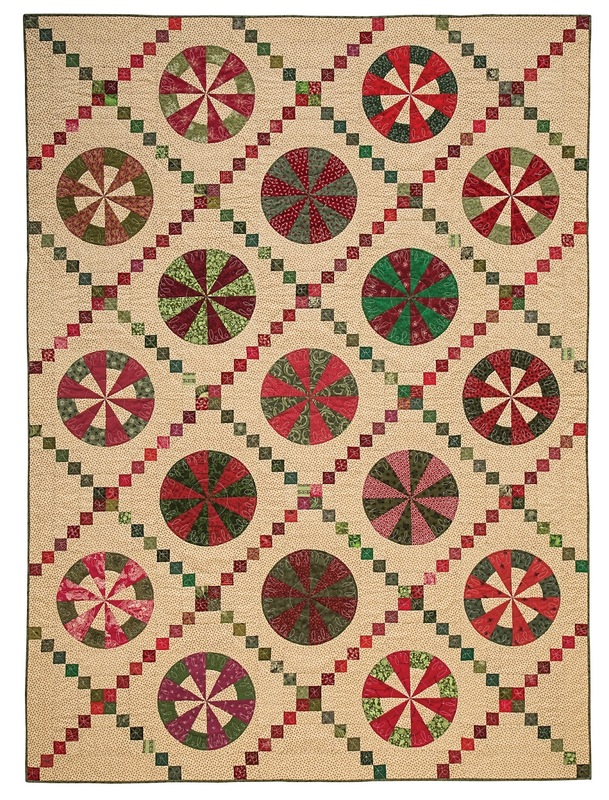 Look at your scraps and pull out two or three colors that seem to predominate. Or choose all cool colors, or all warm colors. Or choose one color and add the opposite color on the color wheel. Peppermint Pie uses a two color palette on a background. Then I hear, "I don't know how to use a color wheel!" and "I'm so bad at choosing colors!" While most quilter are NOT formally trained in art or even design (news flash: neither am I!!!) We all do have an opinion. We all know what we like and what we don't like. I have some secrets for finding a color palette that you will love... Choose a favorite photo, or fabric or item and use the colors found in it. Choose two or three colors you love best and use them together. 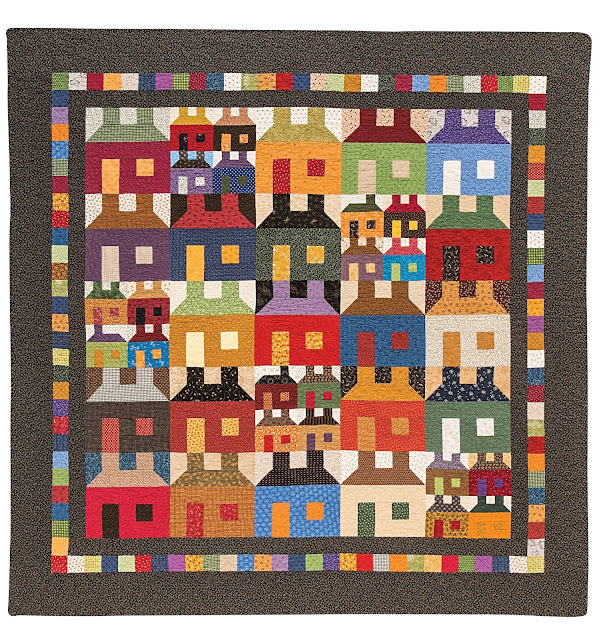 It doesn't matter if anyone else likes them, as long as you do, you'll love the quilt! Obviously, there are many more secrets to choosing and utilizing color palettes in your scrap quilts in the book Scrap Quilt Secrets. I hope this little peek into quilt palettes will be helpful when choosing the scrap fabrics for your next scrap quilt. What is your favorite color combination for making a quilt? Please share them in the comments. I would love to know! And some thought on the process of writing Scrap Quilt Secrets can be found here and here and here and here. My favorite technique (and I don't know if I read this somewhere or made it up) is to leave out ONE color on the color wheel. Just one. It doesn't take much self-control to leave out just one, and it seems to work for me. BTW, getting ready to quilt my Sawnee Shadows quilt that I made from your book! Enjoyed every minute of it. Oh Lisa, thank you so much! I do hope you will share a photo of the quilt when it's finished, I would LOVE to see it!! Wonderful color advice, especially that we don't have to include every scrap from the pile just because it's in there. Not all scraps are equal. yikes, looks you got a long spam! I loved this post what a great examples of the need for a good pallet.